Wen-Wang Gua is the most popular Divination using Hexagrams today, but have you ever imagined how does it evolve, and what makes it compelling? “JING’s Interpretation of ‘Yi-jing’” 《京氏易傳》. They are categorized under Chinese Metaphysics in “The Collections in Four Categories” 《四庫全書》, not in the category of “Yi-jing”. The other difficulty in studying “Han-yi” is its tight association with calendar. Not knowing the calendar in the Han Dynasty especial “Tai-chu Li” 《太初曆》 and “Si-fen Li” 《四分曆》, we would have missed especially the essence of “Yi” which JING elaborated. JING also developed the Eight Chambers Theory 八宮卦說. Together with the Adoption of Stems and Branches 納甲法, it influences the Evolution of Division using Hexagrams, especially WWG. The evolution of Divination using Hexagrams did not stop at WWG, it moves on to different techniques including deriving the life hexagram used by a mysterious Chinese Metaphysic called Tie-ban Shen-shu 鐵板神數. How does it work? What does it base upon? Search your answer in this book. The “Evolution of Divination using Hexagrams” takes you to a new horizon of this ancient Chinese wisdom. It is not just a guide to help you to broaden and deepen your knowledge of the development of Divination using Hexagrams, but a demonstration of how Chinese Metaphysics and Calendar are tight integrated. “Yin and Yang are the Way”, this is the very basic of “Yi”. Confucius further explained, “Yi means simplicity, change, and persistence”. What makes the concept of “Yi” so unique and become the core of Chinese Metaphysics and even Chinese philosophy is that it reflects the laws of universe. From the concept of “Yi” to the development of Chinese calendar, it bonds a tight connection with Chinese Metaphysics. So does the Divination using Hexagrams. No book has ever revealed the relationship between the two, not to mention how the Divination was interpreted especially during the Han 漢 Dynasty. Chapter 2 gives you the fundamental in order to help you to understand “Han-yi”. Divination using hexagrams prior to or during the Zhou 周 Dynasty was considered as Ancient Divination. 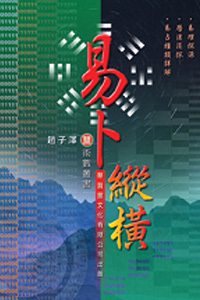 Apart from those recorded in the oracle, a total of about 22 examples in various categories regarding national events were recorded in ancient archives like “History of the Period of Spring and Autumn” 《春秋》, “Speaks of the Nations” 《國語》, and even the “Book of Documents” 《尚書》, but none of which reveals the secret of deciphering. Through the use of metaphors, we are able to have a better understanding of how this ancient wisdom applied. In his book titled “JIAO’s Interpretation of ‘Yi-jing’” 《焦氏易林》, JIAO Yan-shou 焦延壽 of the Han 漢 Dynasty offers a very distinctive perspective of revealing “Yi-jing”. Totally there are 4,096 poetic Explanations of Lines (64 per each hexagram) outlined in his masterpiece, which represents the total possibility of changes in hexagrams. He also suggested, in associate with his way of Divination, the use of “Energy Diagram of Hexagrams” 《卦氣圖》 by MENG Xi 孟喜 so as to determine the Daily Hexagram 值日卦, hexagram-on-duty for the day so to speak. It is said that JING Fang 京房 of the Han 漢 Dynasty studied “Yi” from JIAO, but JING obviously expanded the use of hexagrams as divination tools to a new horizon with his “Eight Chamber Theory” 《八宮卦說》 first introduced in his book titled “JING’s Interpretation of ‘Yi-jing’” 《京氏易傳》. He also further expanded the use of the enhancing and diminishing characteristics of Yin and Yang to further disclose the secret of “Yi-jing”. “JING’s Interpretation of ‘Yi-jing’” left behind tremendous impact to the Method of Huo-zhu-lin 《火珠林法》 as well as Wen-Wang Gua 《文王卦》. Unlike its “cousin” Wen-Wang Gua 文王卦, the Method of Huo-Zhu-lin 火珠林法 has not been practiced any more. Though both of them were under the influence of “JING’s Interpretation of ‘Yi-jing’”, they have different sets of deciphering emphasis and rules. The use of JING’s “Eight Chamber Theory” and “Adoption of Stems and Branches” 納甲法 enables both of them to examine the interaction of Wu-xing as detailed as down to the level of each individual Line. Revealing the untold story of the divination. People tends to believe “The Method of Plum Blossom” 梅花易數 was developed by SHAO Yong 邵雍 during the Song 宋 Dynasty. It uses different Casting method than those used in WWG. So does the deciphering technique. This chapter also covers the deduction of Yearly Hexagram 值年卦 (hexagram-on-duty for the year) first introduced by SHAO in his book titled “The History Book of the Imperial Extreme” 《皇極經世書》. In order to understand SHAO’s world of “Yi”, this is a book you cannot miss. Other than life hexagram generally people used in the Feng-shui theory of “Eight Mansions” 八宅, there are different approaches of finding the life hexagram. This chapter highlights the life hexagram using by Tie-ban Shen-shu 鐵板神數. This book is written for people who want a general view of the evolution of Divination using Hexagram all the way from the Zhou 周 Dynasty till the modern day. It is a great reference book for practitioners of Divination using Hexagrams and is highly acclaimed.